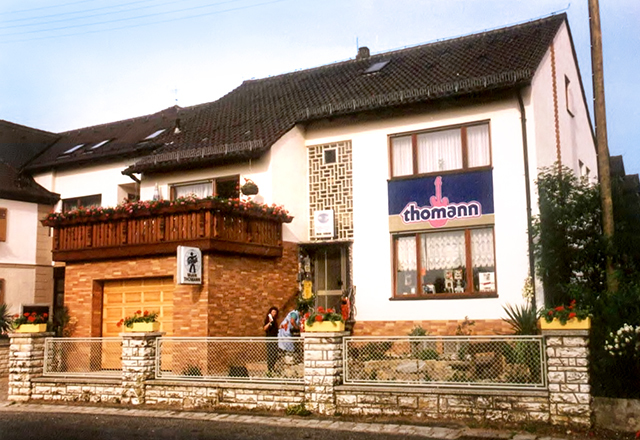 In 1954, Hans Thomann Sr decided to quit his job as a travelling musician. Amongst other gigs he'd worked for a circus, as you can see in the picture. 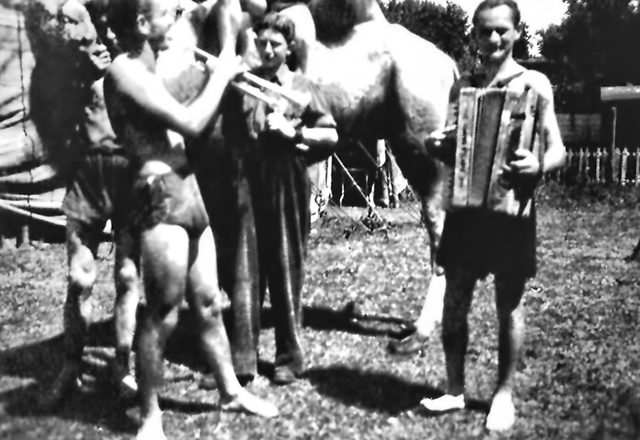 He also had to take care of the family farm, and drove to Würzburg (70 km) almost daily to study the trumpet. More and more rooms in the house were turned into showrooms. 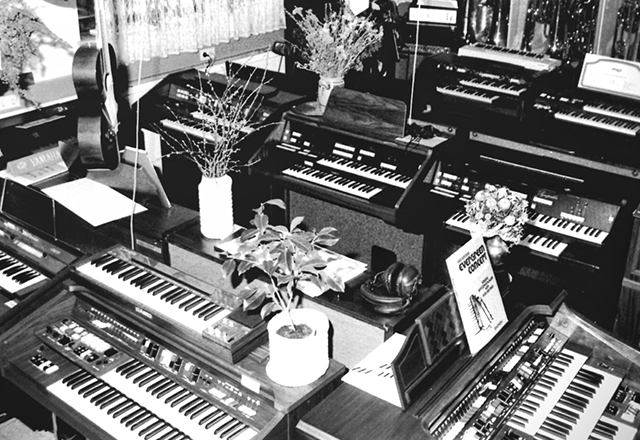 Those were the glorious days of organs, guitars and the first synthesisers. Hans Thomann, still a young boy, made his first deals. This is how the shop still looked in the late 1980s... all a bit small! 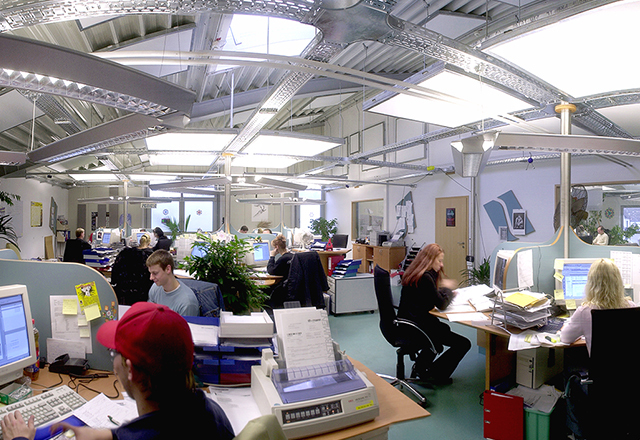 The barn was both the lighting department and the warehouse, whilst the kids' former room became the accounts office. 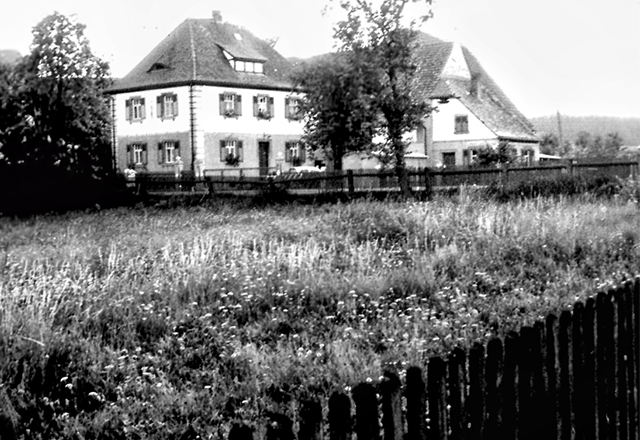 The house on the left is the Thomann family home, and to this day both buildings still exist unchanged. 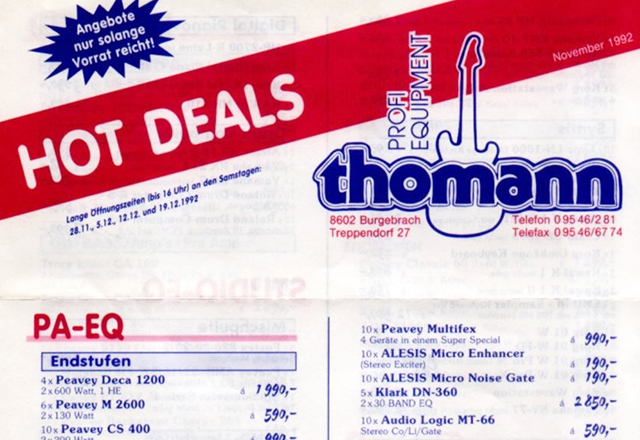 The first Hot Deals flyers were sent to our customers in 1992 - mostly regional, about 10,000 copies. These first Hot Deals contained around 100 items and no pictures. Later on, the images were simply cut from manufacturers' brochures, and the printer personally picked up the texts, which were hand-written on scrap paper. 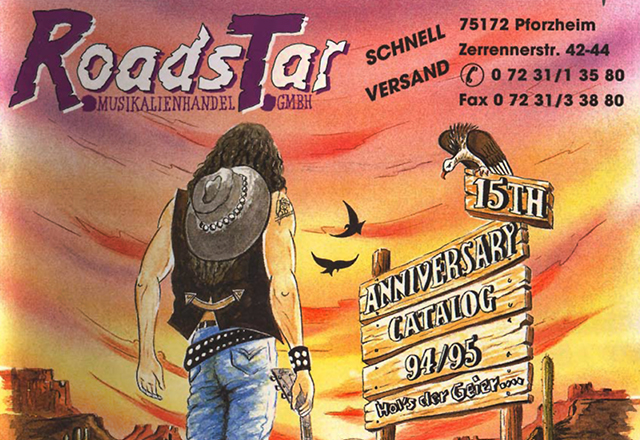 The RoadStar company in Eisingen used to be Germany's largest mail order retailer of musical instruments. 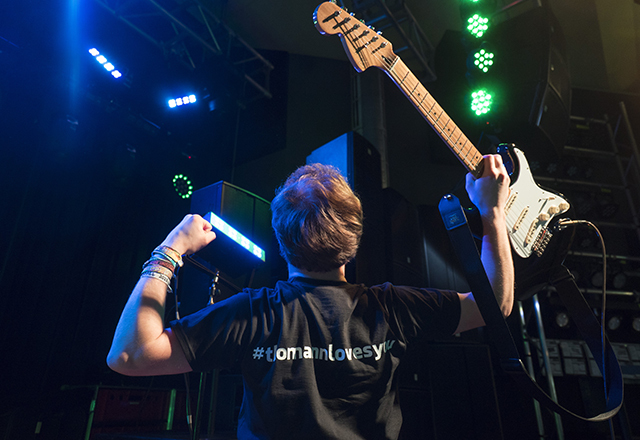 When Thomann accquired RoadStar, the customer base more than doubled to almost 100,000 customers. After we made our neighbors an offer they couldn't refuse, they moved away and we finally had enough space to build our large PA and lighting hall as well as new rooms for the studio and drum departments. The planning and installation of the acoustics (with ambiophonics) alone took two years. 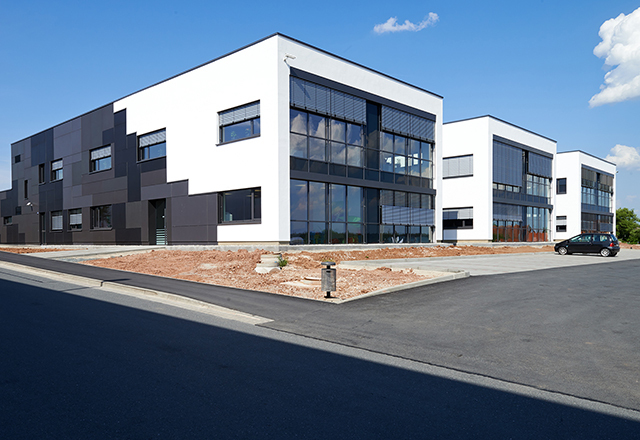 We have never been into outsourcing – We like having everyone close at hand, and this is also why we quickly took the decision that our future call centers would have to be – like everything else – in Treppendorf. At the moment, 250 agents are processing orders, enquiries and service issues in more than 19 languages on the phone lines, in chats, or via e-mail. 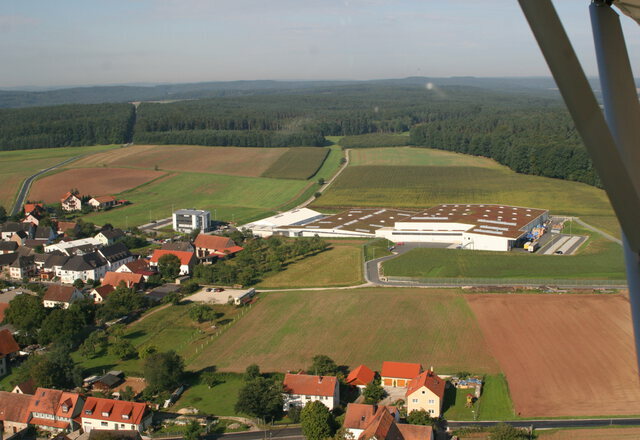 Some of our customers are, in fact, even quite happy to hear our Franconian-inflected voices! In the year 2000 we printed our first English language Hot Deals catalogue with prices in British Pounds. UK Dealers were "not amused" and tried everything to stop us. 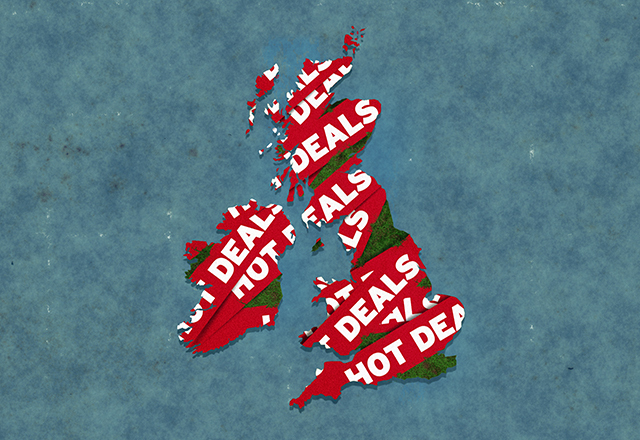 A magazine which contained our Hot Deals almost folded, because most of the UK dealers cancelled their advertising. On the strength of a growing number of installation projects, we decided to found a separate department for sound installations and projects. 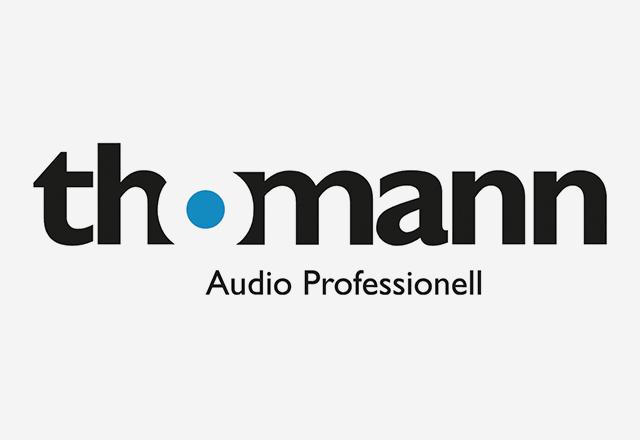 Our Audio Professional department takes care of installations in theatres, town halls, museums, discos etc. Meanwhile the Audio Professional team has grown to 19 members. 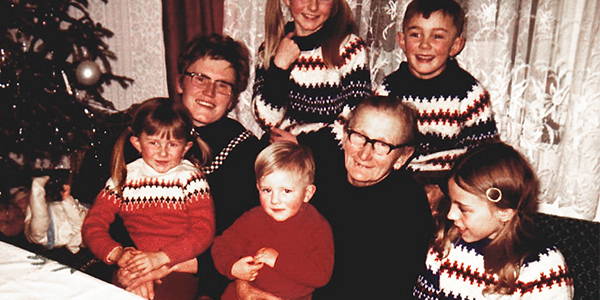 "Logistics is where our furture's at"– this is where the Gottschalks were right for once. 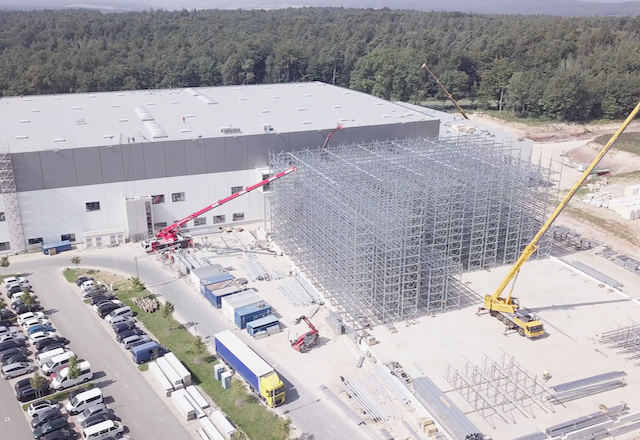 Our old logistics operation was about to collapse, so we needed a new solution: our logistics center with 4,800 m² and a maximum capacity of 5,400 parcels per shift. It wasn't long before 100 staff were employed here. 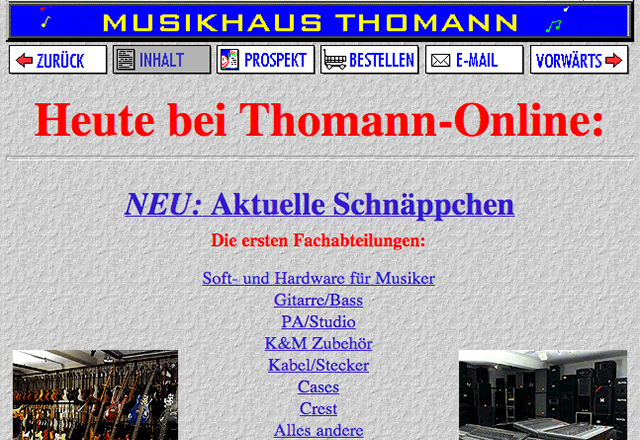 In 2004, Thomann, as the first company in the music industry, received the "Bayern's Best 50" Award for being one of the most successful companies in Bavaria. 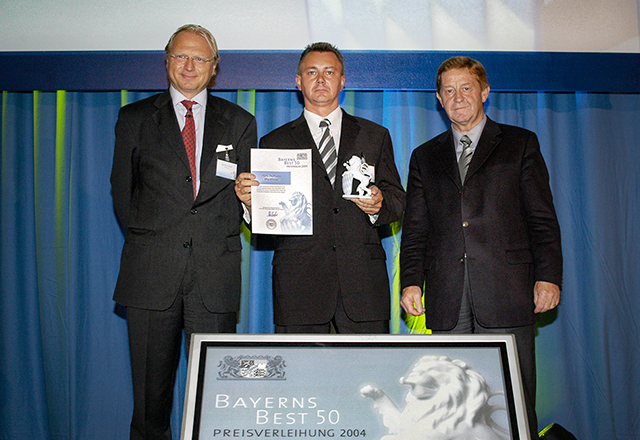 The picture shows Hans Thomann (in the middle), Minister of Trade Otto Wieshue (on the right), and Bernd Rödl (who was responsible for the nomination). Actually, we were tired of all the renovating and building work.. but still, it soon became apparent that we would need further office and storage space in the coming years, and that's why we decided to build at once everything we would need in the foreseeable future: a container warehouse with more than 10,000 pallet storage slots (floor space 7,700 m²), a four-floor office building and new exhibition rooms for our guitar, brass and string departments. 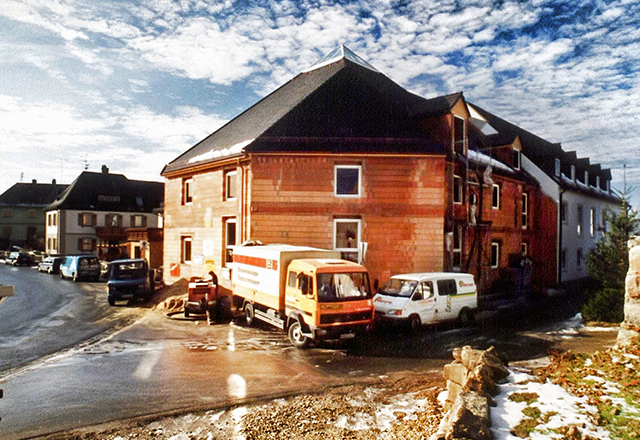 Our Administration Building, situated directly next to the shop, has housed our 40 purchase managers, quality control department, marketing team and our boss since 2005. We also have a entire floor of seminar rooms which we use for internal and external workshops for both our employees and customers. Availability is everything! After we became five times bigger than our biggest supplier, we decided that we had to build even more warehouse space to optimise our product availability. 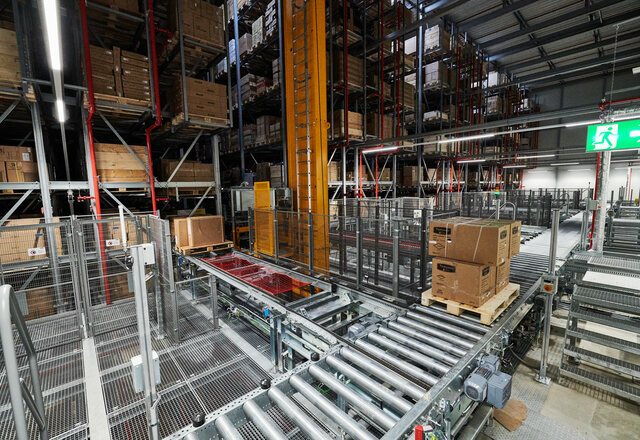 Our supply warehouse offers room for 10 000 pallets and 40 000 containers for small parts. 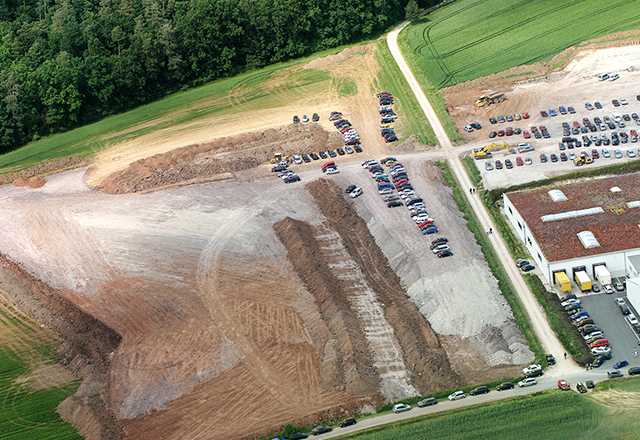 In 2005 our supply warehouse was bigger than all our other warehouses put together. Three months later this warehouse was already full! The time has come for us to completely reorganise our internet infrastructure. 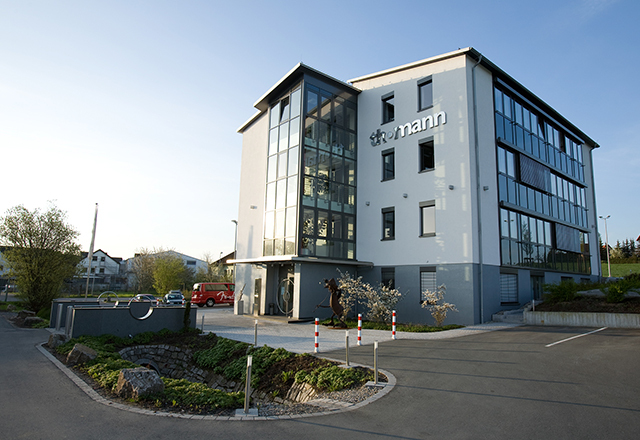 Besides re-vamping and modernising our website we have built two new computer centres containing 160 Thomann servers which will enable us to meet all the demands of our 2 million European customers. As a small, independent, family-run business we were thrilled to receive the prestigious title „Dispatcher of the Year 2010“. This coveted award is Germany’s highest accolade in the E-commerce industry and has been won in the past by some of Germany’s best known companies such as Tchibo, Conrad und Globetrotter. 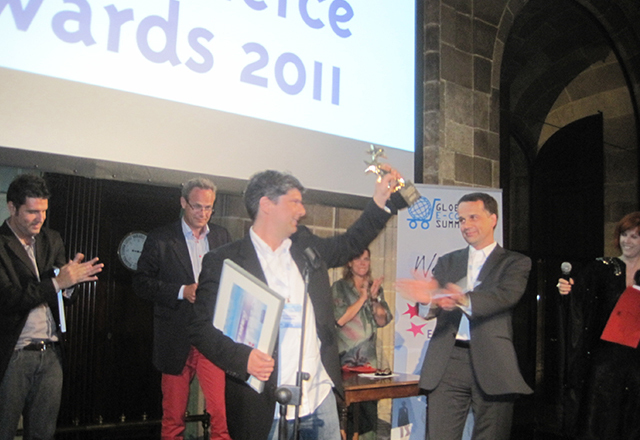 Having been awarded the title of „German Dispatcher of the Year 2010“, we were automatically entered as the German representative into the European competition at the E-Commerce Summit in Barcelona. We were delighted to go on to win this prize as well and were crowned „Europe’s Best Online Shop 2011“. 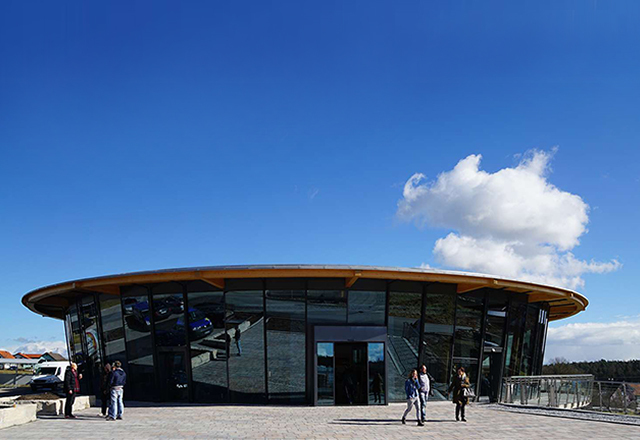 After three years' worth of planning and construction, the worlds largest service center for musical instruments and equipment opened in Treppendorf. State-of-the-art workshops and testing facilities, a large spare parts warehouse and our own amphitheatre for trainings and workshops have found a home here. 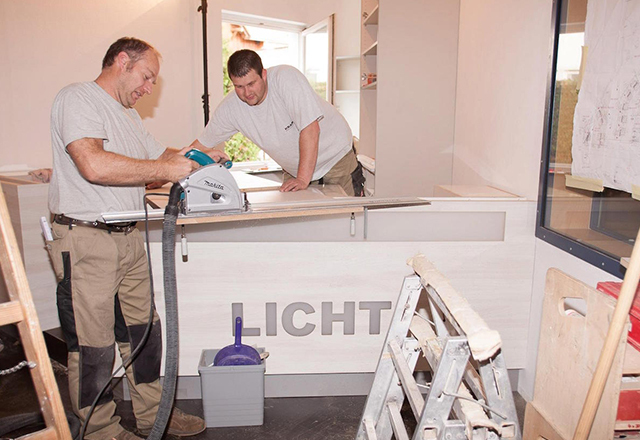 Your advantage: from now on, even more repair and maintenance jobs can be done by us right here in our office quickly and to the highest standards. In February, we opened our own cafeteria in Treppendorf: t.kitchen is now open for hungry customers, visitors and staff. The twelve-strong t.kitchen team provides guests with freshly prepared dishes and offers hot meals throughout the day. The building's design appeals visually and it invites musicians and music lovers to get together in a relaxed and pleasant atmosphere. 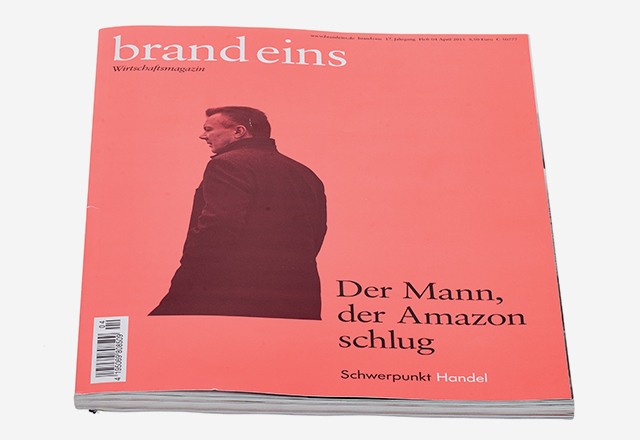 The "brand eins" business journal devoted the title story of its April issue to Thomann. This company portrait was commissiond on the occasion of the release of "Sucess Factors in E-Commerce", a study of e-commerce which named us the best online store based on customer surveys. We achieved top rating in several individual categories, such as website design, service, and delivery, and thus managed to overtake giants such as amazon. The thing that makes us happiest about all this: we have the best and the most loyal customers. 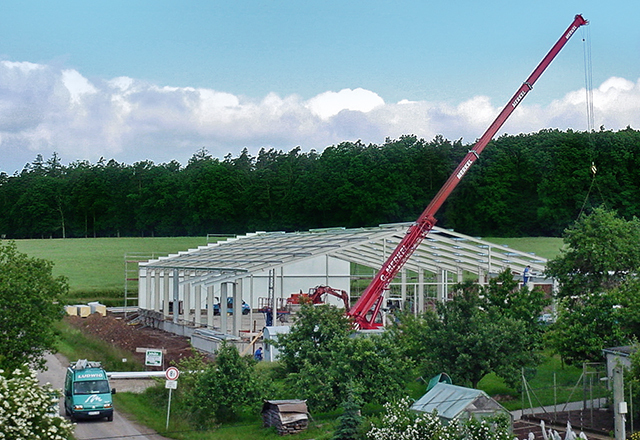 After once again having reached the limits of our logistics capacity (and then some), we started to build out new logistics centre with more then 40.000 square foot of storage and dispatch area, and a capacity of more than 3,000 parcels per hour, in summer 2017. 2018: The new shipping center is up and running!